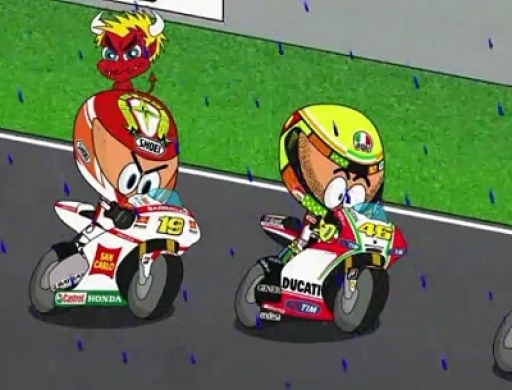 MotoGP Sepang (Malaysia) 2012 von Los Minibikers Comic. Rain stopped the show at the Malaysian Grand Prix where only the brave could survive. Remember what happened at the 75% of the race before the red flag and have fun with your favorite characters.